In order to fight poverty we have to begin by investing in women. Tackling gender inequalities doesn’t just affect women, but can end global poverty — for everyone. Women are the most powerful change agents in their communities. That’s why uplifting and empowering a woman doesn’t just impact her, but also her family, her community, and, ultimately, the world. We’ve all heard of problems like the “pay gap,” but there are many more gender inequalities that keep the cycle of global poverty going. For International Women’s Day, we are spotlighting 5 lesser-known inequalities that are holding women back in the world’s poorest countries. Eliminating these barriers can empower women to help end global poverty. Girls are still much more likely than boys to be completely excluded from education, despite all the effort and progress that has been made over recent years to increase the number of girls in school. According to the World Bank, 130 million girls will never set foot inside a classroom. Educated women tend to be healthier, have fewer children, marry when they are older, and have higher incomes and formal jobs. And what does this mean for their families? The children of educated moms have access to better health care and more education compared to those whose moms have been denied this fundamental human right. Just a few years in school can make a lifetime of a difference to a woman’s family and her community. That’s why Concern makes sure that girls receive an education, particularly in rural areas where cultural tradition dictates that they must leave school once they reach puberty. In Afghanistan, we work with rural communities to ensure young girls receive a proper education, even despite a lack of qualified female teachers. It isn’t surprising that people living in poverty have poor access to quality healthcare. But it’s not just a symptom — it’s also a cause. This is particularly true for women and girls, as gender inequality contributes to high levels of female mortality. Women’s reproductive health has improved globally, but still, each day, almost 1,000 women die from preventable causes related to pregnancy and childbirth. The chronic absence of healthcare, combined with the ongoing, unnecessary loss of so many women result in massive negative impacts on families and communities. 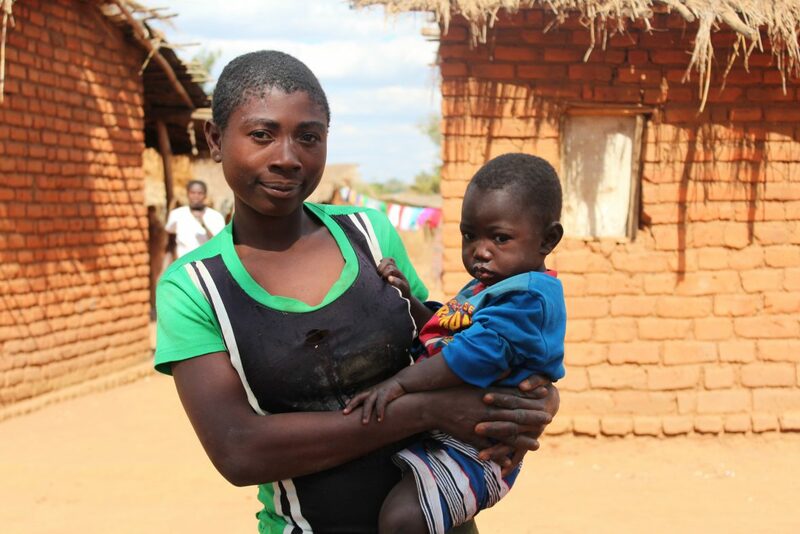 Children of sick moms are less likely to access healthcare themselves, and older siblings are usually forced to drop out of school to take care of younger siblings and help contribute to the household. Concern is working every day with communities across the world to change this tragic narrative. For example, through programs like Chipatala Cha Pa Foni in Malawi we’re harnessing mobile technology to improve home-based care and help women know when and where they should go if they need medical treatment. Women comprise nearly half of all farmers, yet they have less productive fields than men. Why? Reports show that women have less access to critical tools and resources like fertilizer, seeds, training, and farm labor. Even when they receive equal access to these resources, it often doesn’t lead to equality of income. As the primary caretakers of children, women struggle getting their goods to market, particularly in rural areas. Reduced harvests and access mean reduced income, which is all the more damaging because women tend to reinvest their earnings back into their families and their community. When women don’t earn as much, everyone loses. Understanding this basic question has led us to join the Africa Climate-Smart Agriculture Alliance. One of the Alliance’s primary goals is to empower women farmers ensuring they can increase their productivity. More than two billion people worldwide don’t have access to clean water at home. But because the task of collecting water often falls to women and girls, they bear much of the burden that a lack of clean water creates. According to UNICEF, collectively, women and girls spend 200 million hours collecting water every day. This is time that they could spend studying in school, working, or running their own businesses. One study shows that school attendance increased by as much as 12% when water was available within 15 minutes of home. 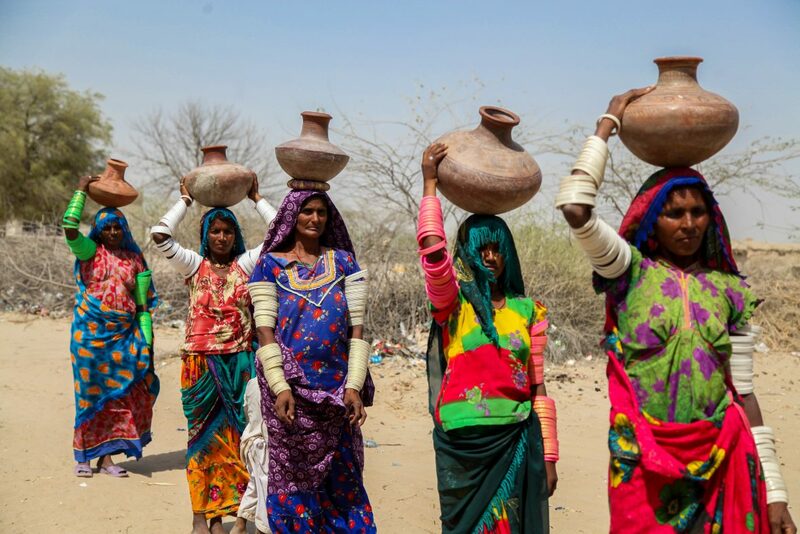 For every minute that a woman spends collecting water, a minute that could be used to earn and save money is lost. Women and girls are at the heart of all of Concern’s work, especially when it comes to water. Among many other objectives, our water, sanitation & hygiene (WASH) programs build wells and boreholes, eliminating this crucial barrier to a better future. According to UNICEF, today, more than 700 million women were married before they turned 18. More than a third of them — about 250 million — were married before the age of 15. Compare that to 156 million boys married before the age of 18, and it’s clear that child marriage affects girls much more than it affects boys. But how is child marriage linked to poverty? Girls that marry young are less likely to receive an education, and child brides often suffer from higher discrimination, violence, and higher maternal mortality rates. 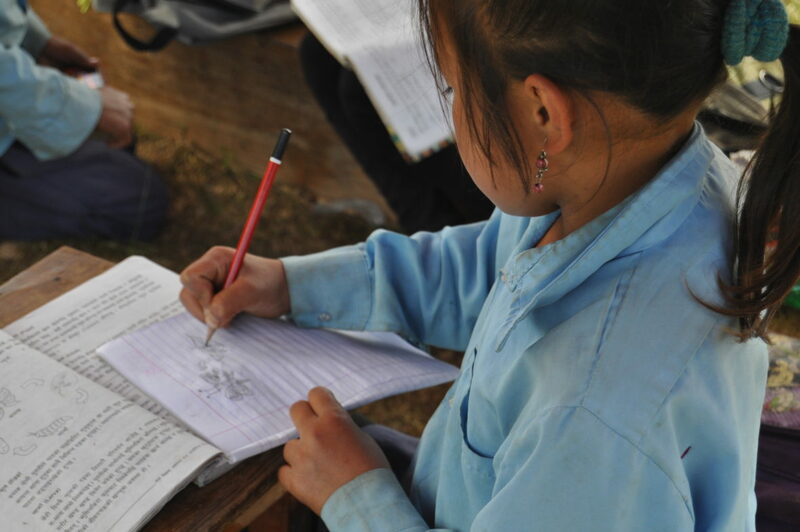 Concern knows that the best place for a girl is in school, and not consigned to a life of inequality. That’s why in Malawi, Concern-supported programs help provide a safe learning environment for young girls, and encourage “father’s groups” that place a greater importance on girls’ educations.